Last year, while visiting a church, my husband and I saw this unusual cross. 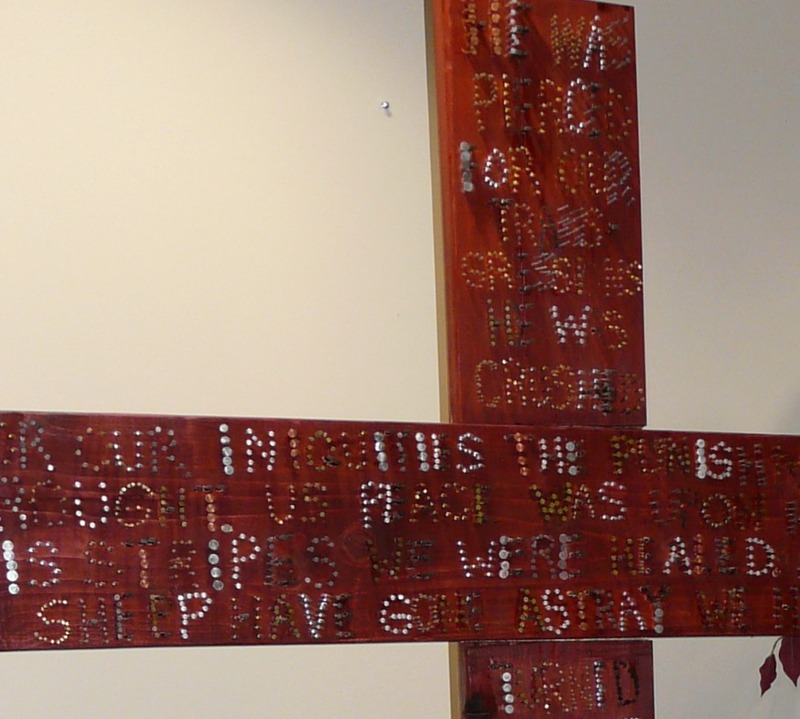 It has nails pounded into it to write out an incredible passage from Isaiah. It’s about Jesus. and the Lord has laid on him the iniquity of us all” –Isaiah 53.5-6. So that’s what happened on “Good Friday.” I am one of those straying sheep and am so grateful that Jesus took the cost of my sin upon himself. Seriously. By his wounds I have been healed. It’s more than I can comprehend and yet I am so thankful! Love getting these emails Joannie. Not long until the wedding !!!! Aunt Mary, we are excited!